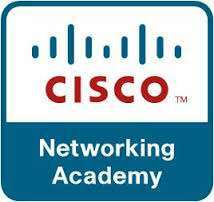 The ccna (Cisco Certified Network Associate) certification is the first in Cisco´s line of certifications that an aspiring networking professional must acquire in order to add value to his IT career. The CCNA certification validates a firm foundation of networking skills that include fundamentals like the OSI reference model, networking protocols, Layer 2 switching concepts and protocols, routing concepts and protocols, and wide-area networking (WAN) connectivity.. Thus a person aiming to qualify for the CCNA certification should be proficient in abilities to provide basic network installations and troubleshooting. Skills and knowledge gained through training for the CCNA certification are immensely valuable in the networking field as the topics covered during the CCNA training program provide the basis for all networking topologies and protocols.. The CCNA training covers all aspects of the 640-802 curriculums in detail. The course also provides practical hands-on training on Cisco Routers and Cisco Switches, as no WAN setup is complete without Leased line / Wireless / DSL etc. The training for CCNA Certification is provided by Senior Network/WAN engineers who have several years of field experience. WTS Network Studies plans to offer a few more CCNA certification training programs in the future.